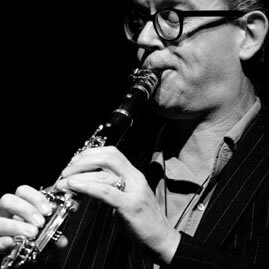 Kevin Whitehead’s assessment that Ab Baars “knows his jazz sideways” is far more resonant now than when it was made in New Dutch Swing a full score ago. Whitehead also cited Butch Morris’ insight that it was the distance Baars maintained between himself and material that distinguished him. Arguably, this distance contributes to the sideways perspective. It only takes mention in conversation of “Moten Swing,” a number often played by ICP Orchestra, to prompt Baars’ smart, off-center takes on the music of the 1930s. He sojourned to Los Angeles in 1989 to study with John Carter; subsequently, Baars joins Carter’s piercing altissimo and holler-hoarse timbres with Jimmy Giuffre’s woody low end, usually applying the high-contrast palette to materials far afield from either composer. Baars’ compositions for tenor don’t overtly promote quotes and pointed quips in his solos; nevertheless, there are frequent glints of the tenor tradition from Hawkins through Ayler in his solos, even if they have been refracted to abstractions. And She Speaks: A Collection of Ballads is one of the best examples of how Baars dispenses his granular knowledge of jazz by the grain. The titles of eight of his nine compositions contain a namesake like “Body and Soul Cerulean Blue,” “Naima Blue Saphir” and “Solitude Cadmium Yellow.” Undoubtedly, flecks of these classics – and lesser known works by Carter, Misha Mengelberg and others – are embedded in Baars’ performances; but, it becomes immediately clear with each of his compositions that straining to make the most remote, tenuous connections to their inspiring works short-shrifts Baars. 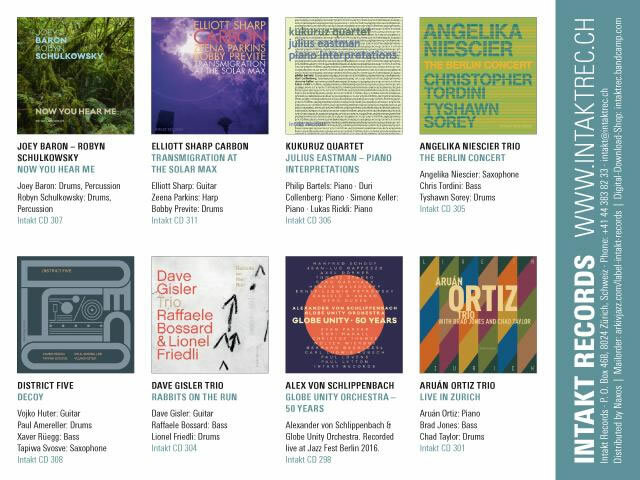 Some composers simply recycle jazz classics, while others repurpose them; Baars is one of the more rigorous of the latter. Baars’ repurposing of ballads focuses on atmosphere instead of materials or forms. Historically, ballads deal with distance, primarily from home and love; the setting – the hues, the fragrances, everything that contributes to the ambiance a great ballad evokes – is merely a framing of that distance. Subsequently, there is an undercurrent in Baars’ pieces for clarinet and tenor, pulling him away from each utterance so that he has enough distance to make the next. Pellucid, wafting pieces for shakuhachi open and mark the midway point of the program, setting both the tone and the pace of this absorbing album. Live at Konfrontationen Nickelsdorf 2012 predates the studio date yielding 2013’s Give No Quarter by ten weeks; however, the decision by Baars, bassist Meinrad Kneer and the woefully under-heralded drummer Bill Elgart to play for extended durations at Nickelsdorf – they loosely apply “suites” to the performances – yields an even more detailed account of their finely calibrated interactions than the short pieces waxed in the studio. Both Kneer and Elgart are innately propulsive improvisers; even though they don’t stick with a figure or pattern for much longer than it takes to be discerned, their pull on Baars is palpable. Aspects of the tenor tradition swirl in every phrase; there are occasional flashes of Carter; only occasionally, particularly when Baars plays shakuhachi – which prompts quick, elegant downshifting from Kneer and Elgart – does the simmer subside. This trio has articulated a sophisticated new iteration of the impulses that birthed free jazz, one that can be likened to the controlled explosions used to level abandoned buildings. Even though audience reactions were snuffed on Live at Konfrontationen Nickelsdorf 2012, it is safe to assume that Baars, Kneer and Elgart brought down the house. Springs ain’t what they used to be, with successive Marchs colder than Februarys, and post-equinox snow storms in parts of the country where forsythias have already bloomed. In this regard, Canzoni di Primavera is right on time. Instead of capering with Vivaldian effervescence, Baars and violist Ig Henneman soberly make the case that spring is an end as well as a beginning, its initial chill and damp necessary to fully behold the verdant brightness at its apex. Over the course of its history, the duo’s work has been distinguished by its seamlessness – between tone colors, and composed and improvised materials – qualities that repeatedly come into play in a program that mirrors the day-to-day fluctuations of weather in early spring. Previously recorded pieces from as early as Henneman’s 1993 tentet album, Dickinson, also provide a poignant sub-plot of return. Canzoni di Primavera confirms that the music of Duo Baars-Henneman continues to grow and deepen.